Almost all prominent and leading writers of various languages were part of the audience in the jam packed hall. 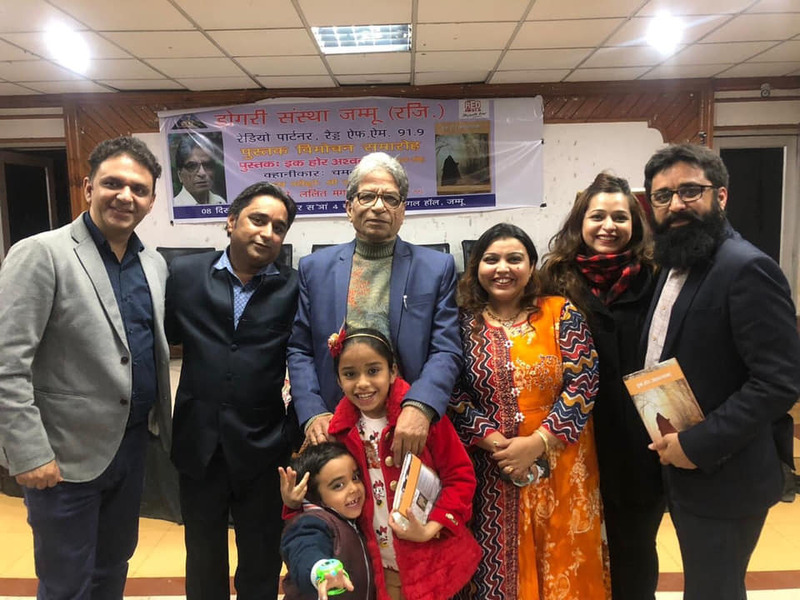 Nationally and internationally renowned Punjabi & Urdu short story writer, Khalid Hussain, was the chief guest and Prof Lalit Magotra, president, Dogri Sanstha and well known Dogri short story writer, presided over the function. 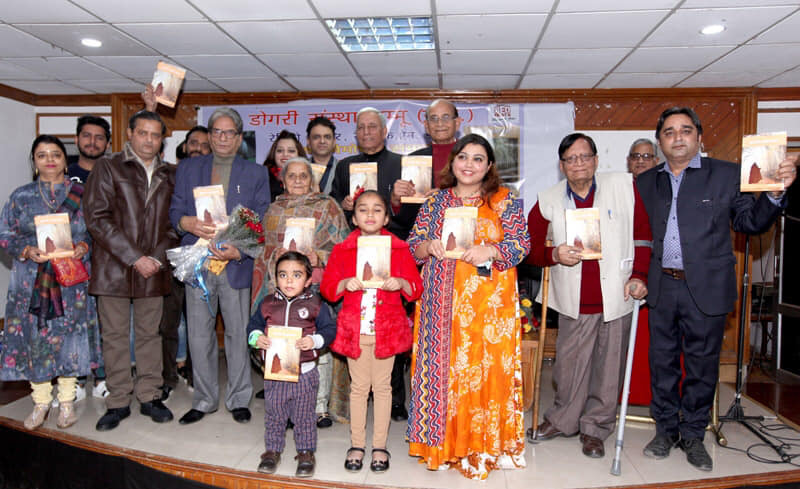 Chhatrapal, a scholar and writer of eminence read a paper on the released book. 91.9 Red FM was the Radio Partner of this program. Khalid Hussain, while speaking on the occasion, said that the level of the standard of Arora’s writings can be gauged from the fact that his story found a place alongside the stories of such celebrated writers as Prem Chand, Rabindra Nath Tagore, Ismat Chugtai, Khwaja Ahmad Abbas and Sadat Hasan Manto in a collection of English translation of Indian stories edited by none other than Khushwant Singh. He said that it is not only a matter of pride for Arora but also for Dogri language. He said Arora’s stories standout due to realistic subjects, crisp and style of expression and deep touch of humour. 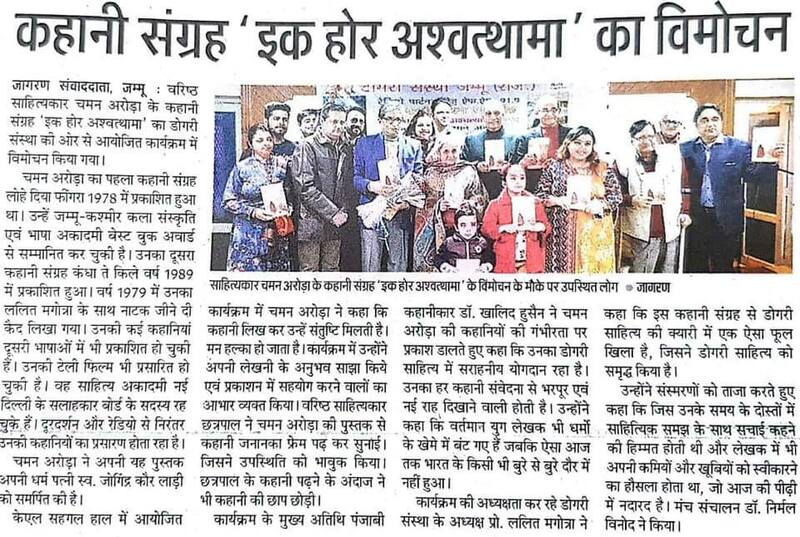 He further said Arora’s stories have not only enriched Dogri literature but they are treasure of Indian literature also. 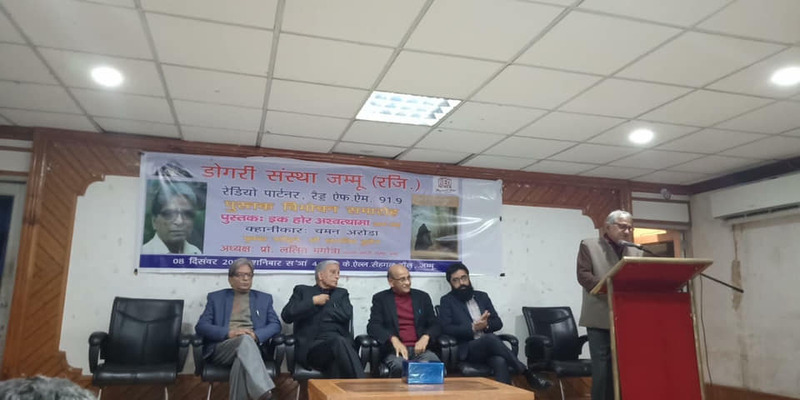 Prof Magotra shared with audience his impressions of the evolution of Chaman Arora into a mature writer over a period of last about 50 years, he being a close friend of Arora right from the childhood. He said distinctive characteristics of Chaman Arora’s short stories are – unusual selection of subject and a unique format and framework of writing. He said that Arora is miser with words, but each of his word is loaded with meaning and none of them is superfluous. Chaman Arora also spoke on the occasion about his creative urge and read out his one story.